The Canada-Saudi spat looks set to accelerate as the Kingdom’s central bank ordered its fund managers to withdraw hundreds of millions of dollars in equities, bonds and cash from Canadian financial markets yesterday. Then an unnamed “Gulf-based banker” stepped in with the real impact. This is the exact problem – economics. Beyond the aesthetics and the ethics, the driving force behind Mohammed Bin Salman’s drive to empower women is economics. Women were already slowly entering the work force and even gaining political office. Yet the urgency of Saudi Arabia needing to diversify away from oil called for a more dramatic intervention. MBS and his advisers knew that this intervention would need to be lifting the ban, which would allow millions of women to commute to and from work much more easily. That is not to say the move was not welcome. It was clearly better to have women working and driving than not. But giving MBS too much credit for this ignores that MBS remains a contemptuous man-child. His latest tantrum surrounds Canada’s perfectly reasonable denunciation of the persecution of Samar Badawi, who was abused by her father for 15 years and publicly campaigned against the guardianship system which enabled that abuse. She was ironically also a leading figure in the 2011-12 women’s driving campaign. She was arrested again on July 30, then Canadians began tweeting their outrage regarding her human rights infringements. MBS ordered the Canadian ambassador out the country in response. A full trade embargo is now in place. Flights to and from Toronto have been cancelled. All Saudi students must leave Canadian schools, and all Saudi nationals receiving medical treatment inside Canadian hospitals are being transferred to different facilities overseas. Ignored in all this is Badawi is not just a Saudi citizen, she holds an American passport too. 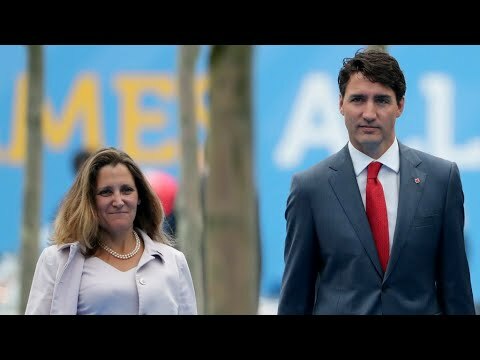 Why then do Trump’s gang remain silent, while Trudeau’s people speak out? Canada’s interest in this partly stems from the fact that Samar’s brother, Raif, has a wife, Ensar Haidar, who fled to Canada and was symbolically given Canadian citizenship on July 1, otherwise known as Canada Day, alongside their children. Raif is still however in prison, back in the Kingdom. Badawi’s husband is also a human rights activist – he is also still in prison in Jeddah. When he registered the first overseas human rights organisations concentrating on Saudi Arabia in 2012, he did so with the Canadian authorities, registering the Monitor for Human Rights in Saudi Arabia with the Canadian Labour Ministry. Crown Prince Bin Salman has gone from being a young bold reformer who re-opened the cinemas and put women back on the road, to arresting one of the key activists against the driving ban and throwing out a Western ally who dared to criticise that decision. Taken alone, this might be seen as a brief tantrum emblematic of his young age. Yet his rash decision-making is the defining characteristic of his reign. Yemen is a product of his impetuousness; the Qatar embargo is the result of his impulsive aggression. His embrace of the Trump administration is as short-sighted as his love of the increasingly far-right government of Israel. He attempted to bully Sweden in 2015 for daring to speak out against Saudi Arabia’s unjust approach to women, apparently to little effect as Canada has felt no risk in doing so later on. Saudi Arabia may punch above its weight on the world stage owing to its vast oil wealth, but it stands to lose much from MBS’ child-like attitude. Diversifying from oil will require foreign direct investment, but as the Wall Street Journal’s anonymous banker points out, knowing that the economic fundamentals of a diversifying Kingdom ultimately rest on how the Crown Prince feels on any particular day is hardly a promising start. As for his measures – they are eerily reminiscent of how he tried to blockade and bully Qatar into submission. That hasn’t worked either. Why does he think Canada will fare any differently? The views expressed in this article belong to the author and do not necessarily reflect the editorial policy of Middle East Monitor or Informed Comment.